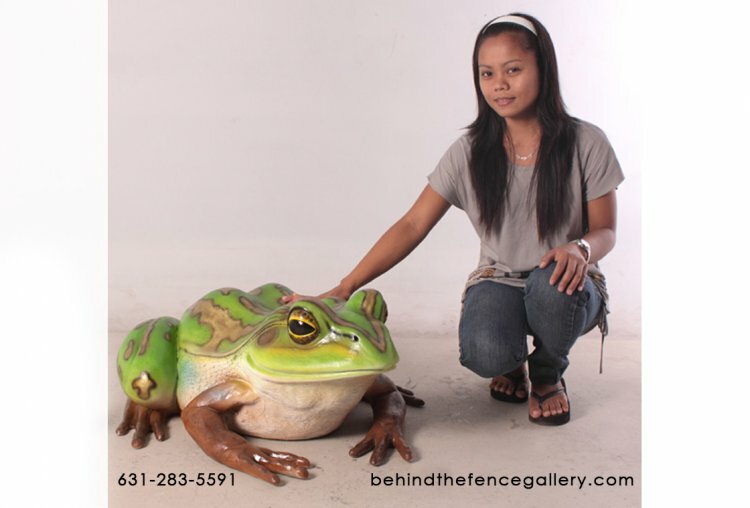 Giant Green and Golden Bell Frog Statue. Made of Fiberglass Resin. L x 32.5 in. W x 29.25 in. H x 13.25 in.